OverviewAbout the Activity:The backwaters of Alleppey are a picture postcard come alive that's enoug..
OverviewEnjoy the simplicity and alluring expanse of a Wayanad with a Namoh farm tour of Wayanad wit..
OverviewAbout the activityExperience an alluring bike ride for 8 hours along the Western Ghats and e..
OverviewSavour the beauty of Wayanad, a nature lover’s paradise that welcomes with green delights. 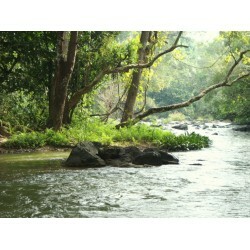 E..
OverviewDewy Wayanad is known for its unbridled stretch of tea gardens. The endless expanse of tea p..
OverviewAbout the activity :Photographers, what are your weekend plans? Well, now you have something..
OverviewAbout the activity The city is full of lights and many colours, all except green of cou..
Itinerary-Day 1 -Arrive in Calicut and our representative will receive you at railway station and ta..
Itinerary-Day 1 - Coimbatore to Ooty (132 kms, 4 hours by road)Boating, Botanical GardenAfter you ar..